Total market sales value grew by 3.6%, and was contributed by food categories, while non-food stayed stagnant. Food categories perform positive growth in 3 consecutive quarters, however non food categories remain sluggish and not regain its momentum. Remains the main driver for market growth. Health, convenient, and happy atmosphere are still what Taiwanese consumers pursue. Health food, sugar-free yogurt, tea bag, RTD tea have performed well. Products that provide convenience, such as fast-cooked noodles, instant noodles, and frozen food, can avoid complex cooking process are in the booming trend. Summer is the peak season for ice cream, retailers and manufacturers actively work on this category. Both local and imported brands show significant growth by the stimulation of promotions, new flavors, and new package. Remained stagnant due to the weak performance of household cleaning and personal care. The premiumization trend in laundry detergent continued, while promotion led the momentum slowed down. In oral care, functional toothpaste was losing its growing engine, whereas products with basic function performed better. Toothbrush declined because consumers had stocked up and hadn’t returned to the market yet. The performance of feminine hygiene products might not recover in the short run since Taiwan population decreases. Although performance of household cleaning and personal care slowed down, Taiwanese consumers didn’t cut their expense on pursuing their own beauty. Products that enhance personal image and self-confidence, such as cosmetics, hair dye, and perfume, showed strong momentum as before. The performance of supermarket slow down was affected by PX Mart. Hyper and e-commerce grew faster than other channels. Carrefour and RT Mart recovered in both food and non-food categories. The growth of Costco was attributed by unique food categories and successfully increased shopping trips. 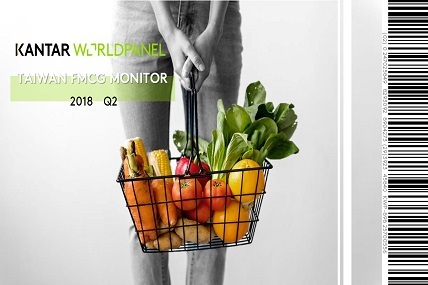 E-commerce maintained strong momentum in food and non-food (household paper products, diapers, household cleaning, personal care), and we also expected that market share of EC in non food will surpass supermarket in the third quarter of this year.